We still have a long ways to go until Petsmart’s Black Friday 2019 sale arrives. But you can scroll down the page to check out the details from their last Black Friday sale to get an idea of what’s likely to come. Enjoy! Updated on Tuesday November 6, 2018: Petsmart’s Black Friday Preview ad has just leaked — There’s just 4 pages this year. It’s posted for you in full down below. Like always, PetSmart is closed on Thanksgiving Day itself but you’ll be able to shop all their deals at petsmart.com from home on Thursday, November 22, 2018. Many locations open their doors as early as 7:00AM on Friday, however this may vary by location, we’re not sure. In terms of the offers, there a number of buy-one get one 50% off deals on dog and cat food worth taking a look at (similar to what Petco is offering this year as well). I also like that 60-gallon fish tank deal on the front page… but I’m biased as I love fish (I have a few blue and yellow cichlids swimming around at home). Good luck and happy bargain hunting this year! What do you plan on picking up at PetSmart this Black Friday? Let us know in the comments (you’ll find the comments section located at the bottom of this page). Updated on Thursday, November 9, 2017: Regardless if your best friend is Rex the dog, Lizzy the lizard, or Nemo the fish, Petsmart has something for just about every type of pet at their Black Friday sale this year. We’ve posted their 7-page ad below so be sure to check it out! Most deals are available starting at 12:00AM on Thursday, Thanksgiving day at petsmart.com (that’s on Nov. 23). Anything you order online will either ship to your home for free or will be available for in-store pickup. Stores are closed on Thanksgiving day but will open at 7:00AM on Black Friday. Just be quick because all offers will only be valid through noon on Friday, while supplies last of course. Updated November 6, 2016: Petsmart’s Black Friday ad has just come into us through our contact us page (a shoutout to Mark G. for sending us the tip!). We’ve posted the ad booklet below in full so check it out! 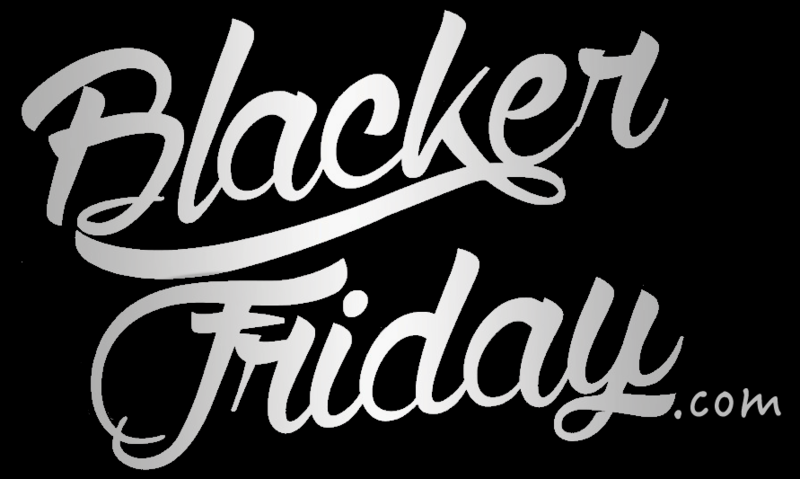 This year all stores open their doors at 7:00AM on Black Friday (November 25, 2016) and will have some pretty good doorbuster deals through noon (while supplies last!). You’ll be able to find something for just about any pet you have at home – From a new 120-125 gallon fish tank and stand combo that’s on sale for $300 (that’s more than 60% off!) to some of the lowest prices of the year on select dog and cat food. Select feline apparel, wire crates, gates, bedding, collars, toys, and various other things are up to 50% off. Plus it’s also a great time to get a new addition to your family as select reptiles, birds, small pets and fish are 50% off as well. Excluding the items that are marked as “doorbuster deals” you will be able to pick up all of the same deals online starting at noon on Thursday, Thanksgiving day. Best of all, nearly everything bought online ships for free during the sale with no minimum order amounts required. Sale ends at the end of the day on Friday November 25, 2016. Don’t overlook your most important family member this Black Friday as you’ll be able to find some great deals for your dog, cat, fish, lizard, and whatever other creature you have at home… A day after Petco’s black friday ad, we just now received a copy of PetSmart’s ad scan for the Thanksgiving weekend (see below) that can help you save a bundle this upcoming holiday weekend. This year you’ll find some really good doorbuster deals and storewide savings of up to 50% off the regular price. It will be an especially good time to save of bedding for your dog or cat, food and treats, and fish and amphibian aquariums. We will also see deep discounts on grooming packages so it might be a good time to bring in your dog or cat for a walk-in “pawdicure”. Store hours will stay the same in 2015 with all locations closed on Thanksgiving and with doors opening Friday morning at 7:00AM and staying open up until 9:00PM (for the rest of the holiday weekend the store hours will go back to their normal times). However, you’ll be able to pick up the deals earlier and before anyone else if you shop on Thanksgiving Day at starting at 7:00Am EST on their site. Here on page 2 of Petsmart’s Black Friday ad you’ll find some of their lowest prices of the year on popular dog and cat treats. Plus if you spend $35.00 or more on dog or cat food, treats, chews or cat litter then you’ll earn $5.00 in bonus bucks. On page 3 you’ll find all of the 50% off deals on the entire stock of PetHoliday toys, treats, apparel, collars and harnesses. Just keep in mind that the deals only apply to in-store or online stock and not on any special orders. Some of the most popular things here will likely sell out early. Time to get your dog dressed up for the winter? Well of course Petsmart has the latest dog fashions at up to 60% off. Below on page 4 you’ll also be able to replace your old cat litter box with a fancy new Purina Tidy Cats Breeze Box plus for just $19.99. If you’re more of a fish person than a dog or cat person, then check out the aquarium sale here on page 5 — They are up to 50% off! You’ll get 50% off on all live pets including our favorite, African Cichlids. And finally, don’t forget to stock up on Marineland canister filters that are also at 50% off friday-only. Here on the last page of Petsmart’s Black Friday ad scan you’ll be able to pick up any four of these best selling dog and cat food items for the lowest price of the year: (1) Purina Friskies 5.5ox cans for 42-cents each; Meow Mix, Purina Cat Chow, and Grreat Choice cat food in 13.5 to 16-pound bags for just $9.99/each; (3) Purina Fancy Feast 3-oz cans for 52-cent each; and (4) 46 to 50-pound Purina Dog Chow and Pedigree dog food for $19.99 per bag. 2014: PetSmart just released their 6-page Black Friday ad scan and we have it posted in it’s entirety for you to enjoy! Just scroll down the page to see the best deals for this year. Plus the 100 customers in each store will receive a free christmas stocking filled with dog a cat treats along with a scratch card for your chance to win a $100 gift card. There will also be a sweepstakes where you can win a trip for four and your pet to Beverly Hills. In terms of the deals, be sure to take a look at the pet pillows which are discounted at 50% off the original price (ranging from $9.99 to $89.99). Many of the best selling toys, collars, apparel and accessories for your pet are also at 50% off the original price today. And with the PetSmart holiday bonus bucks, you’ll get a $5.00 coupon for future use when you spend over $35.00 on your total order. Just remember that most of the best deals will require you to be a PetPerks member to get it. For the fish lovers, we recommend that you take a look at the complete aquarium sets that are on sale today. You’ll find a 10 gallon Marineland aquarium kit that regularly priced at $79.99 for just $39.99. Or pick up the 20 gallon Zoo Med bearded dragon kit that regularly priced at $189.99 for just $94.99. You’ll be able to begin shopping online at petsmart.com on Thanksgiving day starting at 7:00am EST. Most store hours will be extended with doors opening at 7:00am local time on Friday morning. Search for the nearest Petsmart store in your neighborhood. If you have order related questions or need product return assistance then you can contact PetSmart Customer Service by phone at 1-888-839-9638. Their team is available from 7:00AM to 12:00AM EST, 7 days a week.